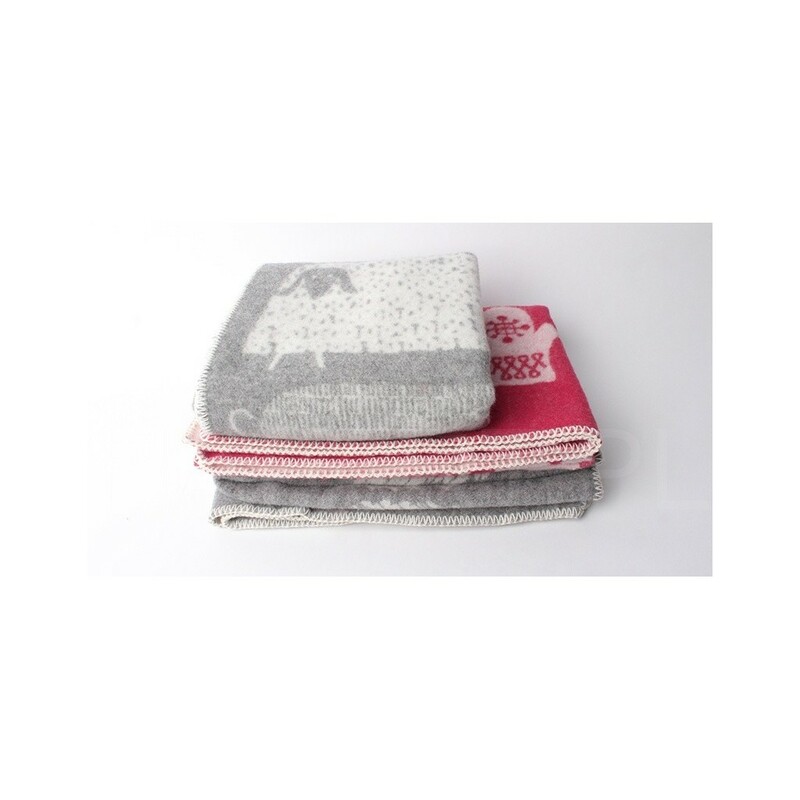 Wełniany dwustronny koc z motywem owieczek i baranków, z dalekiej Laponii. 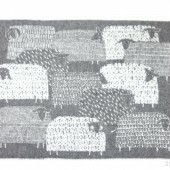 Kolorystyka szaro-biała. 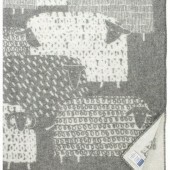 Wymiary: 90x130 cm. Obszyty kolorową wełnianą nitką. 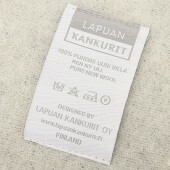 Źródło photo: Lapuan, Finland. 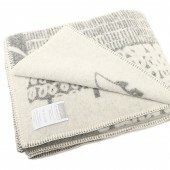 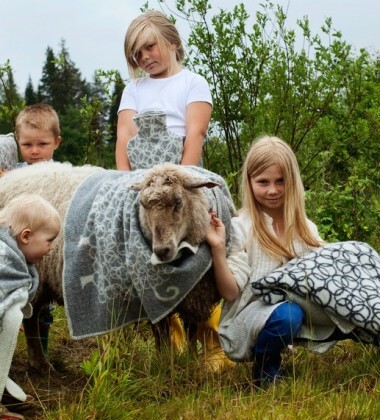 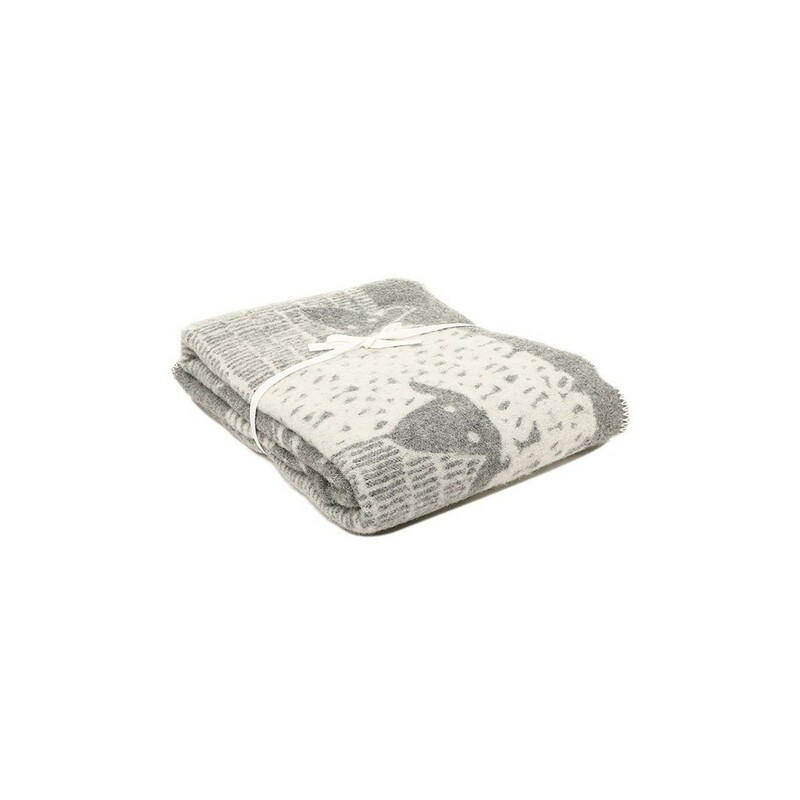 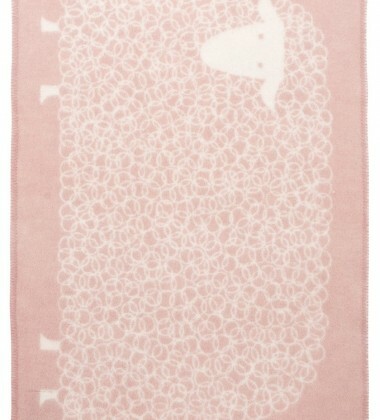 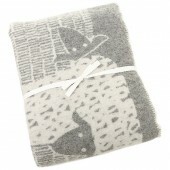 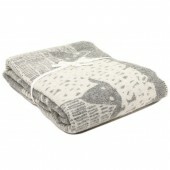 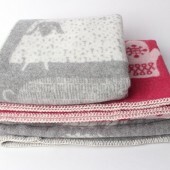 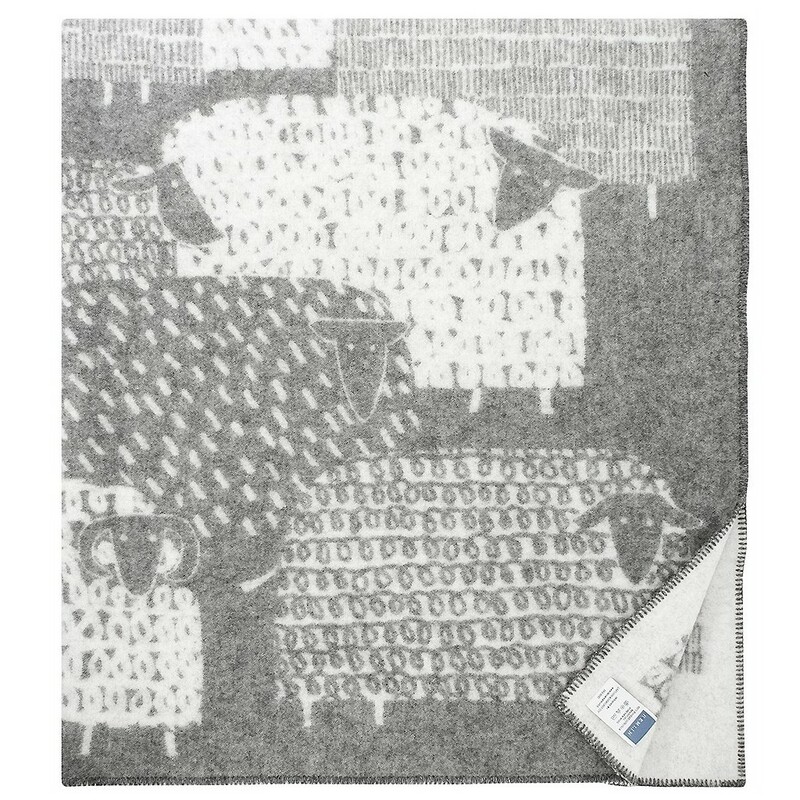 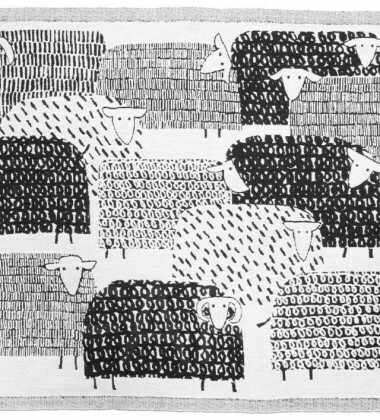 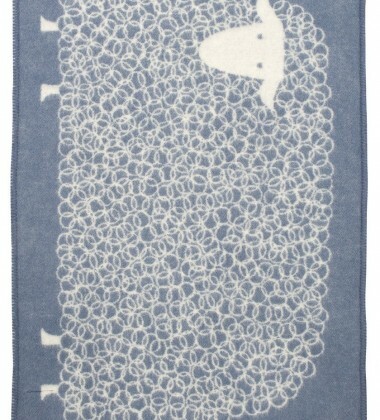 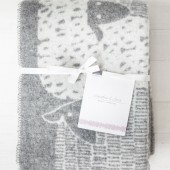 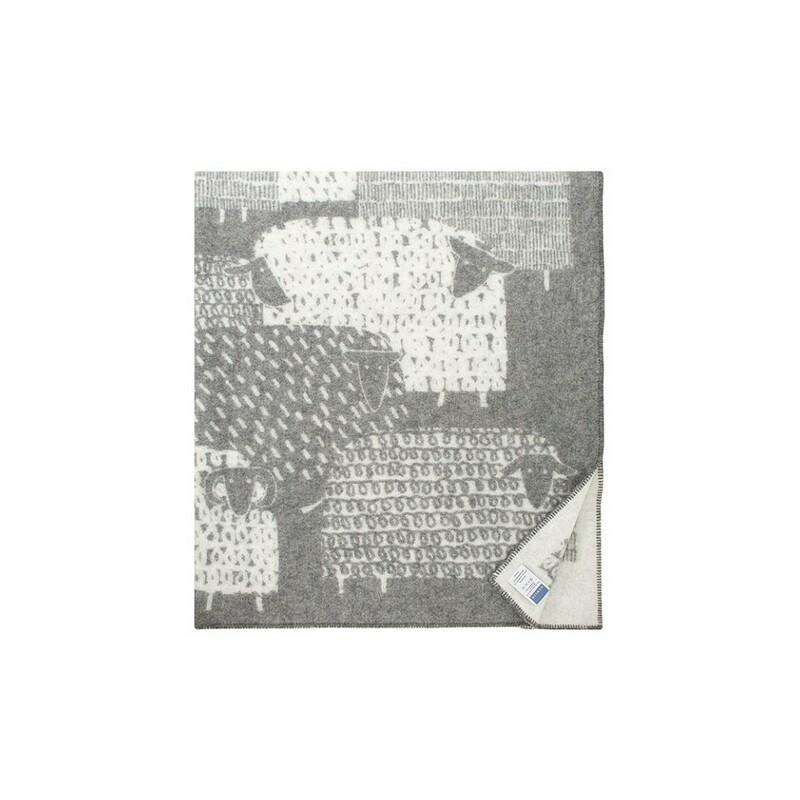 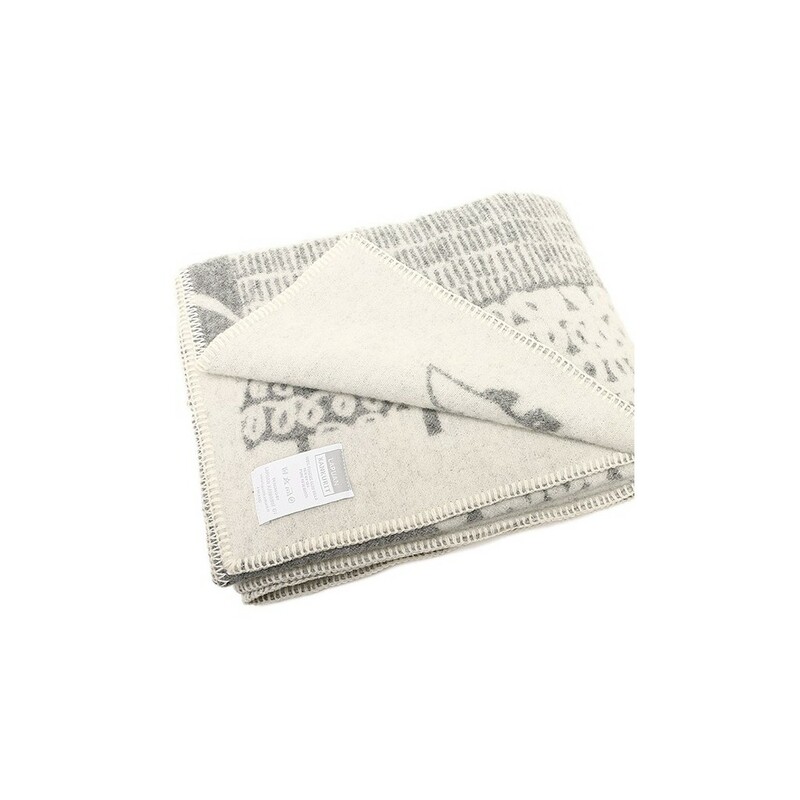 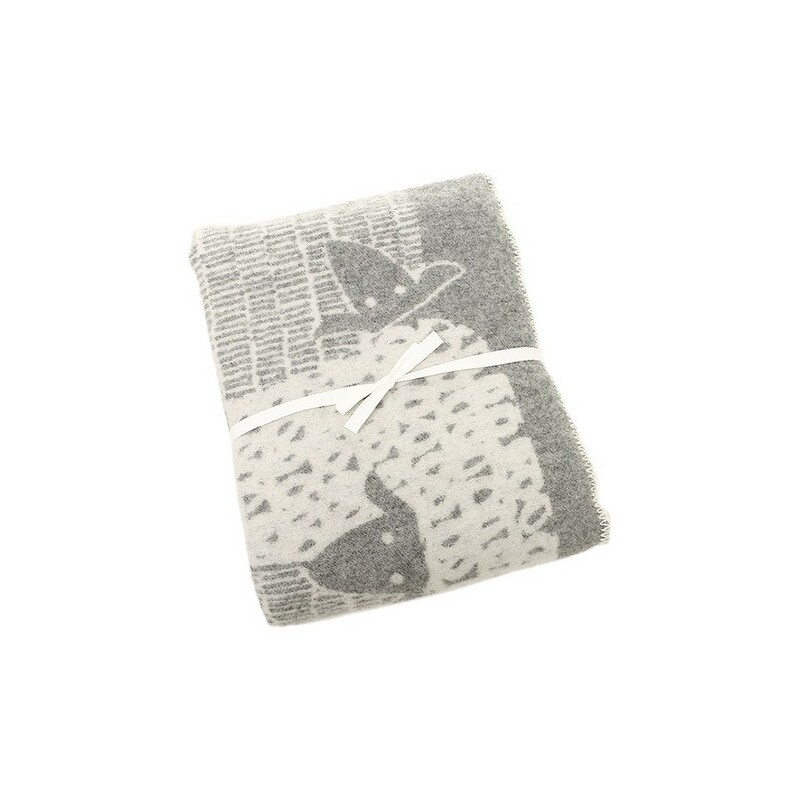 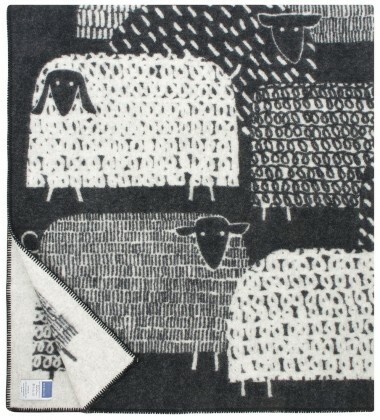 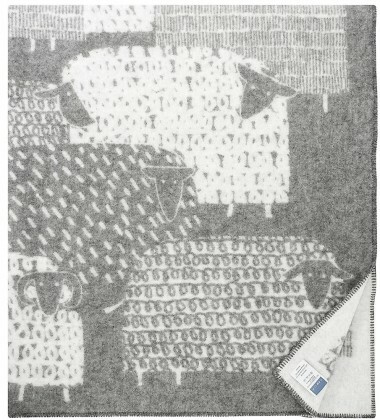 Soft, thick and beautifully warm, the Päkäpäät blanket has a double sided sheep design and a neat blanket stitched edge. 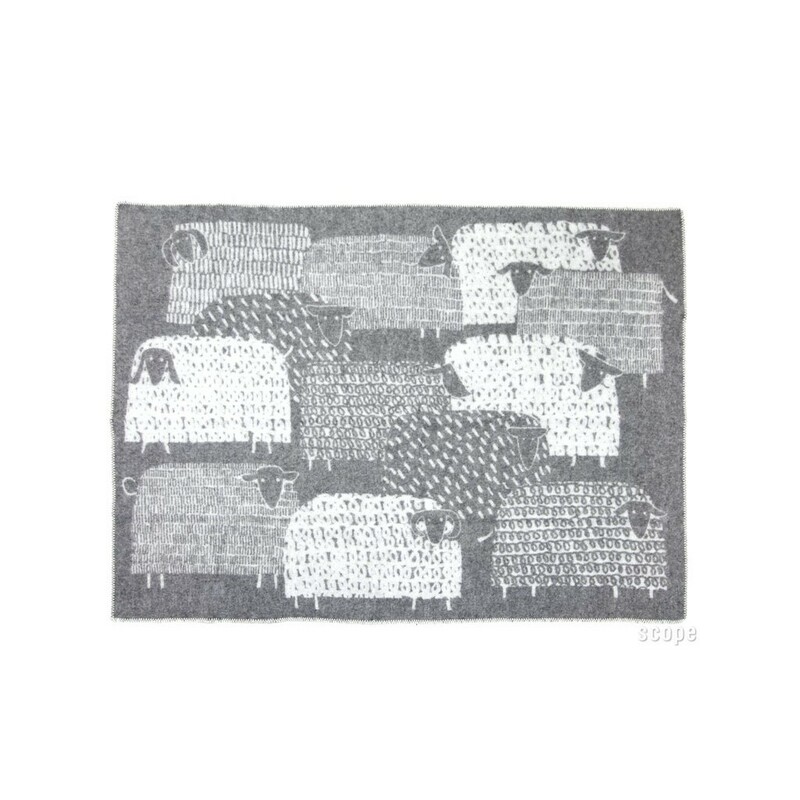 When you have counted all the sheep on one side you can just flip it over and start again! 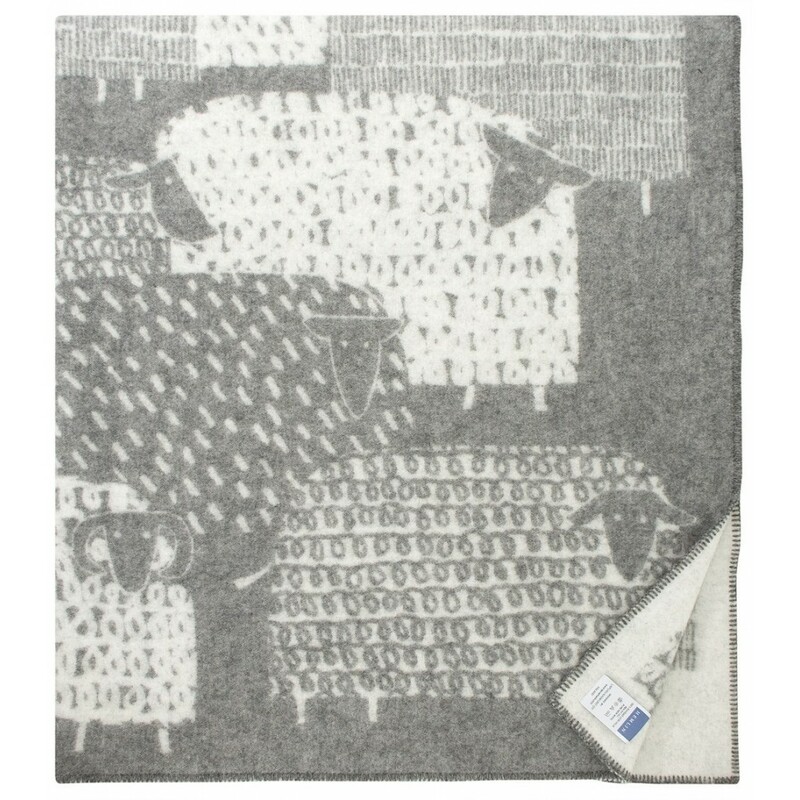 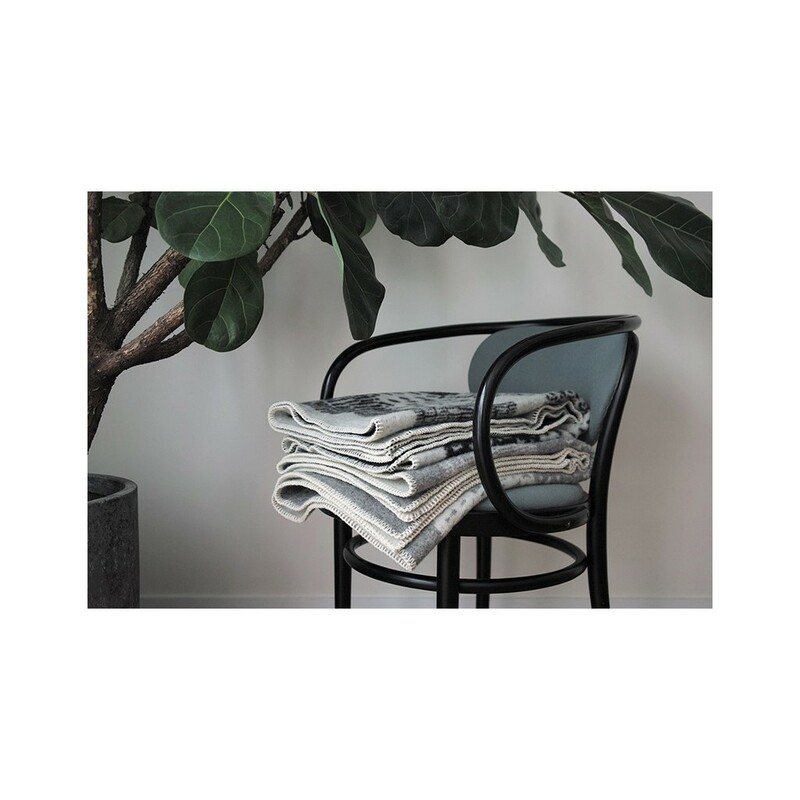 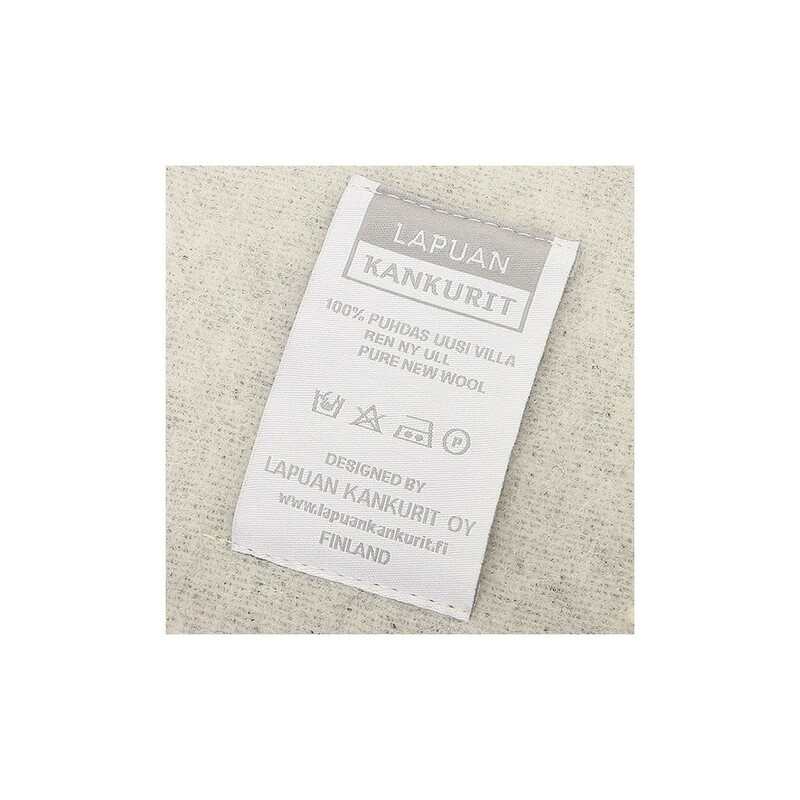 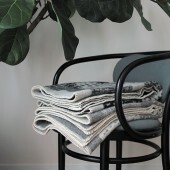 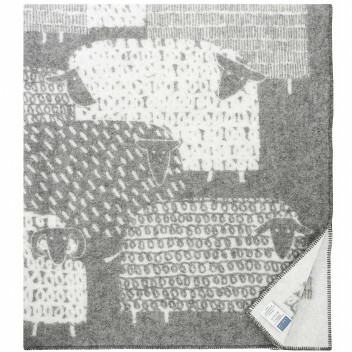 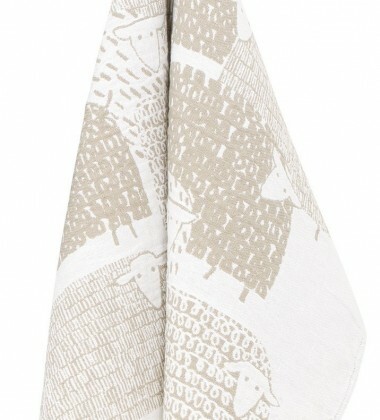 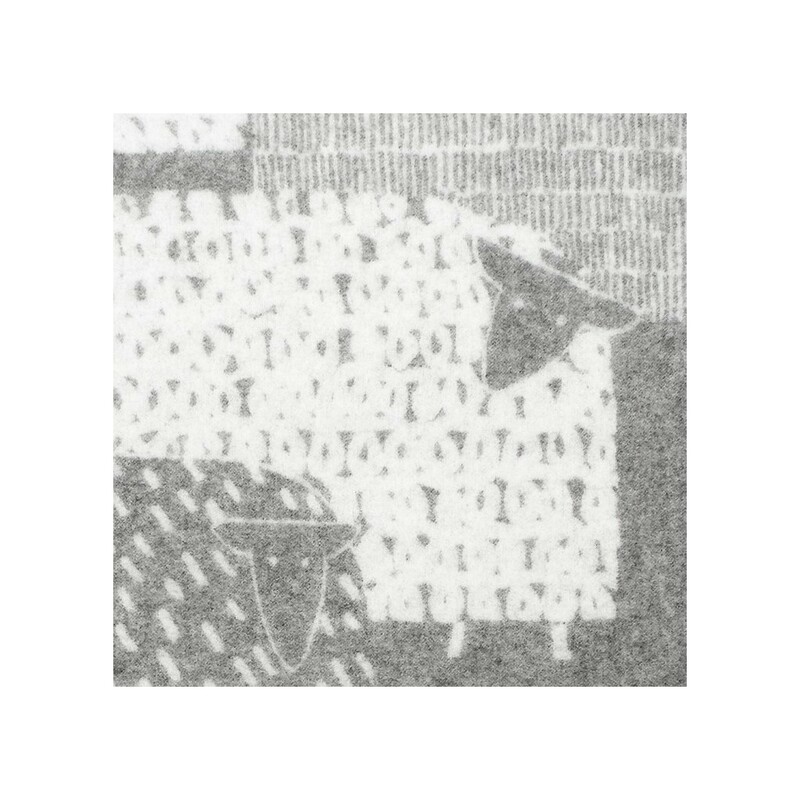 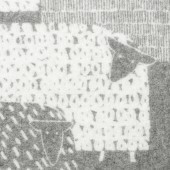 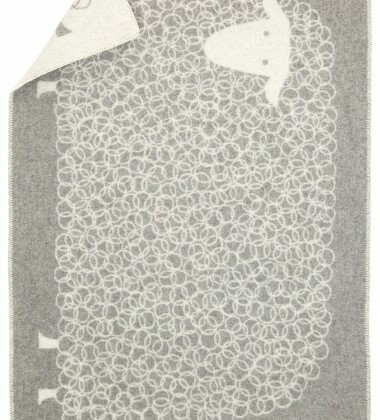 Designed in Finland and jacquard woven from 100% wool.